With Father's Day coming up (19th June) I have compiled a few gift guides to help you out with gift ideas for your Dad, Grandad or husband. I have decided to do it over a few posts this gift guide is all about things you can get for £10 and under. This is ideal for younger children who want to buy something for Dad/Grandad but are on a limited budget. 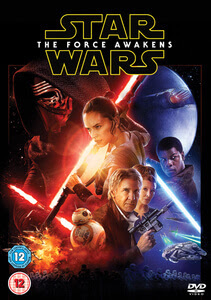 Star Wars: The Force Awakens was recently released on DVD and Blueray so if your Dad is a Star wars fan and doesn't yet have this DVD than this a great gift idea. Price ranges depending on where you purchase from but this is currently £10 on Amazon. Lasting up to twice as long as other lubrication strips on the market, the gel pools deliver 40 per cent less frictionthan any other razor brand. The gel ensures your skin to hydrated for up to one hour after each shave. which a conventional strip can’t do. Rather than struggling to reach difficult areas of the face, with a simple flick of the thumb the hydrating gel pools flip back to reveal five blades that deliver parallel precision and control. The guard bars and reduced blade span have been redesigned to improve comfort, safety and prevent skin pinching. With an upgraded colour palette, the ergonomic handle gives the razor a full range of motion fitting perfectly in the hand and providing guys with a more comfortable hold and control whilst shaving. If you want to get a small and simple gift than why not consider standeazy. 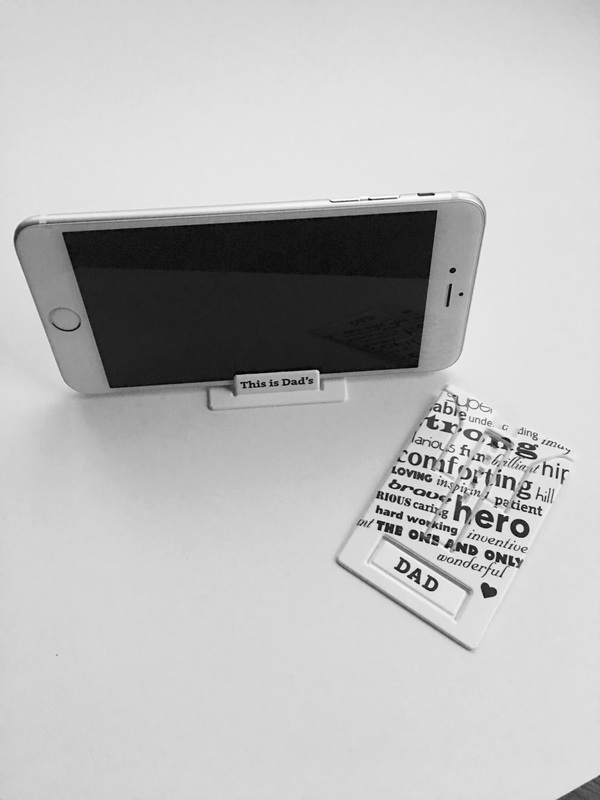 Standeazy is a credit card sized mobile stand which fits smartphones (including the larger ones) and mini tablets and e-readers. It fits perfectly in any card wallet and the concept is that it easily converts to a phone stand that allows different viewing angles. Standeazy retails at £2.99 for plain colors and £3.99 for special edition ones. Instead of using soap which can be harsh on the skin or water which doesn't shift dirt and sweat, you need the Real Shaving company face scrub. This helps to buff away dead skin cells. Formulated to help remove unwanted hair from your face effectively. The creams and gels are also great at preventing cuts/razor burns. Replenishing your skin’s natural moisture with one of the stage three products will help to care for skin to keep it looking fresh. The great thing is that they smell great too. Prices are around £3.99. Moving onto alcohol we have a selection of ales from Goose Island. 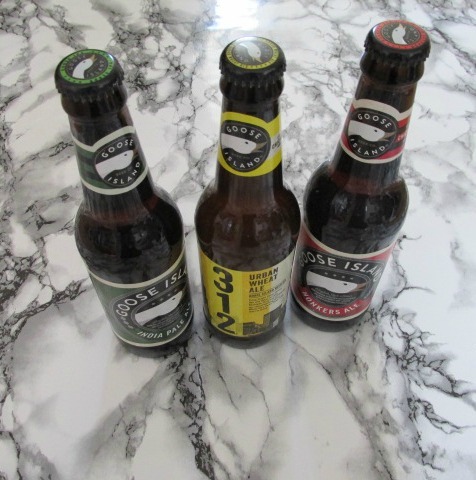 There is the Goose Island IPA, Honkers ale and 321 urban wheat ale. The 321 urban wheat ale is inspired by Chicago and named after the city's dialing code. 321 has a spicy aroma of cascade hop followed by a crisp, fruity ale flavor which is refreshing. Ideal with salad or fish or with fresh chevre and buffalo mozzarella cheeses. The Honkers Ale is inspired by visits to the english country side. combining a fruit aroma with a malt middle that creates a perfectly balanced beer. If cider is more of your Dads thing than he may like Cranes new Cranberry cider. It has grown rapidly since its launch and they are now looking for investment to take it to the next level, they are already in talks with supermarkets and pub chains so it looks very promising. 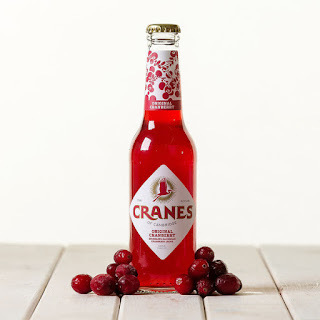 It will be a great summer drink, with only 99 calories so it can be part of a responsibly healthy lifestyle.Cranes Original Cranberry comes in bottles and costs £24.00 for 12 x 275ml from www.drinkcranes.com. So what do you think of my gift ideas for under £10? What is your favorite idea? I get my dad every year a beer as that the only thing he every want. lol My dad doesn't like to make a huge deal out of Father day. I like the sound of the cranberry cider, let alone buying it for my husband. Great ideas!! Beer is always a good options! Good ideas = I like the standeazy. 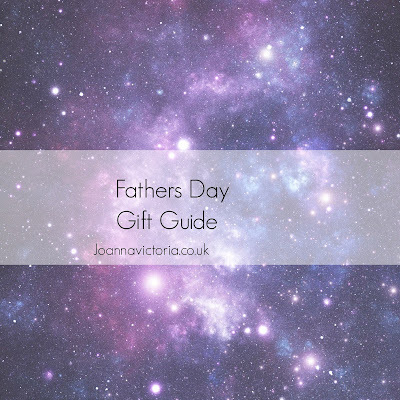 Such a lovely gift guide, my dad could do with a good razor.